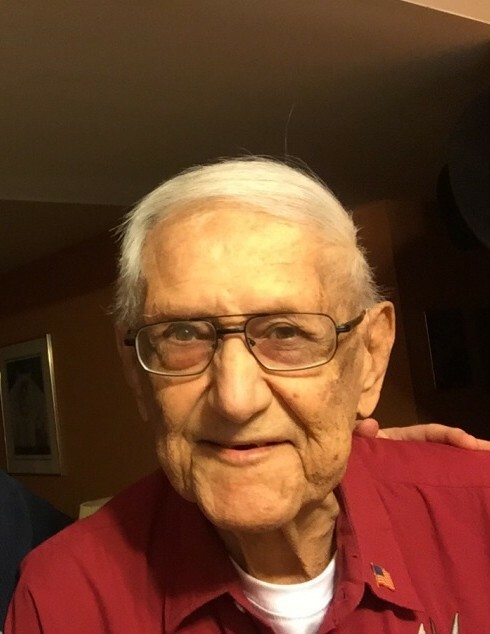 Albert W. Kepchar age 82 of Highland passed away on Saturday January 19, 2019. Albert is survived by his children; Mark (Kelley), Michael (Barbara), Craig, Carl, Patrick, and Cassandra; 13 grandchildren, 2 great grandchildren, the love of his life Patricia, and numerous nieces, nephews, and cousins. He was preceded in death by his parents Steven and Mary, his daughter Mary, siblings John, Helen, Edward, and Michael. Funeral services will be held on Tuesday January 29, 2019 at 10:00 AM at St. James Catholic Church located at 9640 Kennedy Ave, Highland with Fr. Keith Virus officiating. Friends may meet with the family on Monday January 28, 2019 from 4:00 PM to 8:00 PM at WHITE FUNERAL HOME located at 921 W. 45th Ave, Griffith. There will be a prayer service on Monday afternoon at 4:30 PM. Al (Teach) served in the National Guard and retired from the Gary Public Schools after 30 years of teaching. He was a member of St. James Parish, the Elks, Knights of Columbus Council #3631, and Gary Evening Lions. He was a Cubs and Bears fan, enjoyed golfing, and was an avid reader. He was known for his kindness and his good nature, region-wide. In lieu of flowers, memorials may be given to the Elks Lodge #981 Scholarship Fund or the Elks National Foundation.